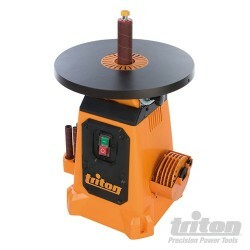 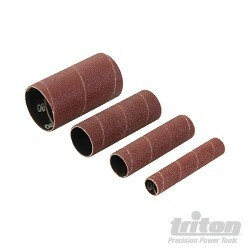 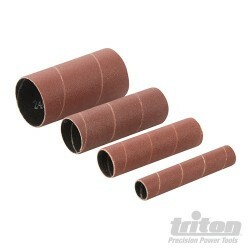 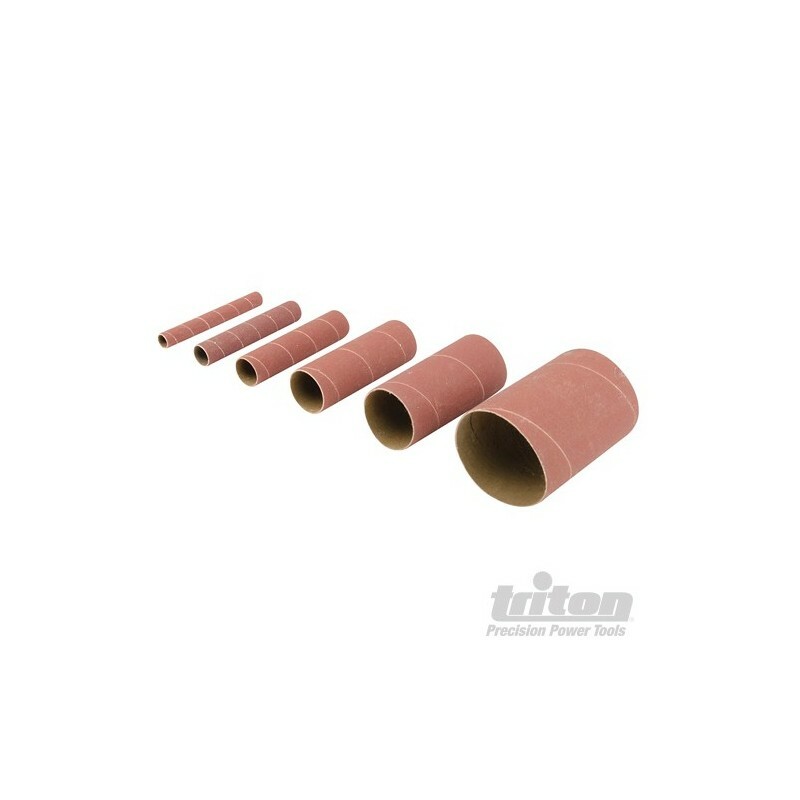 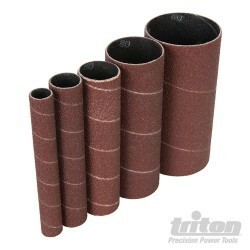 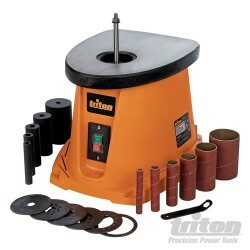 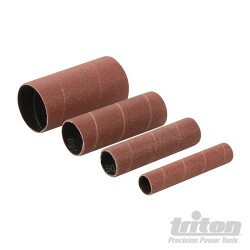 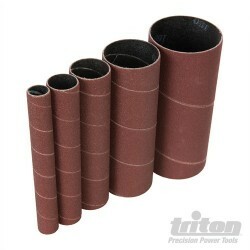 Set of 6 sanding sleeves with cloth backing for use with the Triton Oscillating Spindle Sander TSPS450. 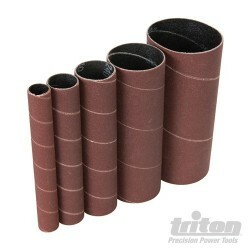 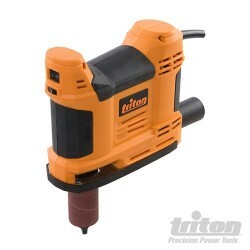 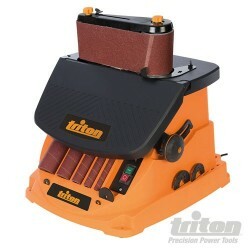 Includes sizes 13, 19, 26, 38, 51 and 76mm (1/2", 3/4", 1", 1 1/2", 2" and 3"). 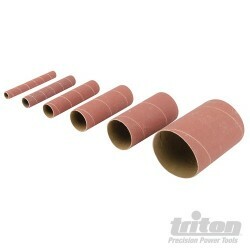 Length 115mm (4 1/2").